The Kampa Awning Light comes with a 6 metre cable with a uk plug. It can be clipped to your tent or awning and comes with built in hooks to enable this fantastic light to be hung where ever you desire. 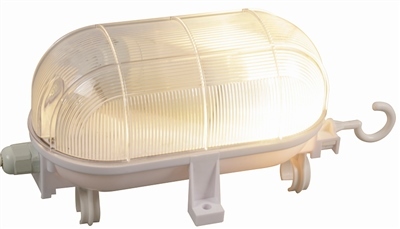 This lightweight robust light from Kampa is dust and splash proof making it a remarkable light to purchase. This comes good to go, several fittings included depending on how you want to use it. we attached the hook which hung nicely in tent. Great light enough for what we needed. Would buy again. This is just perfect for camping, gives enough light out for the whole tent.